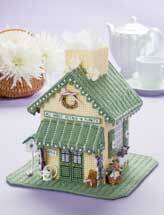 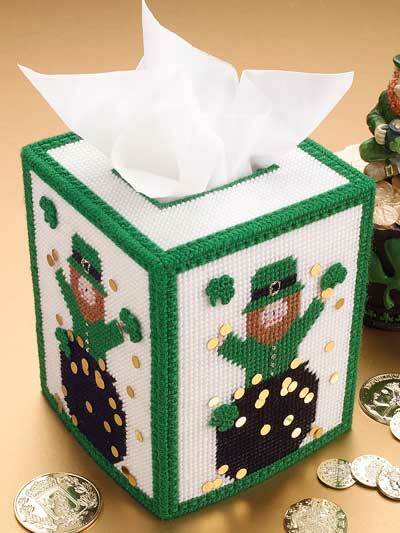 Add a touch of green to your home or office with this St. Patrick's Day tissue topper. 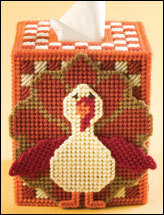 This e-pattern was originally published in Holidays on Parade. 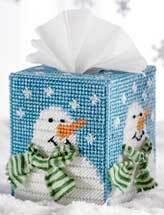 Size: Fits boutique-style tissue box. 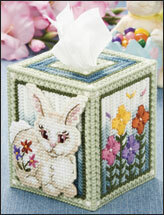 Made with medium metallic ribbon, fine (sport) weight yarn, 6-strand embroidery floss and 10-count plastic canvas.